VizConn HBE is an express checkout solution for hotels that comes with a calendar based pricing inventory. Integration with HMS, other PMS & Payment Gateways are also available. Inventory with Calendar based Pricing: Create dynamic pricing for specific dates. Block or partially block your inventory when you feel the need for it. Export/Print the list of Bookings: Download or Print the list of bookings made from the VizConn HBE using the dashboard. 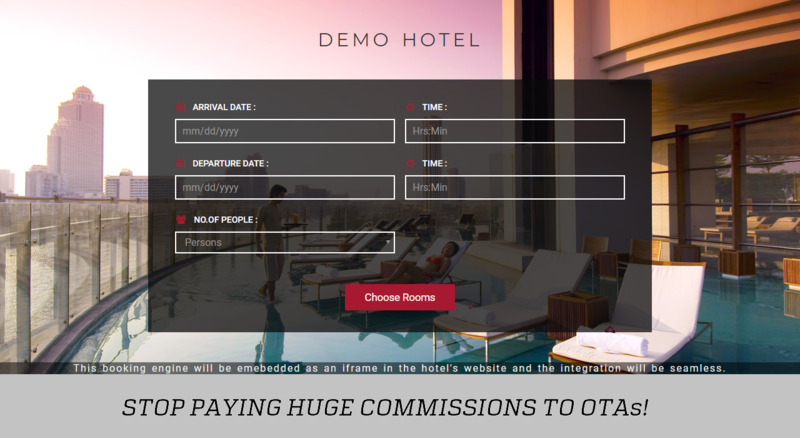 Accept Payments Online: Forget the huge commissions you pay to OTAs. Integration with Paypal & Stripe is available. In-built LIVE integration with VizConn HMS: Manage your HBE inventory from your VizConn HMS dashboard. Full synchronization is possible and you have the feature to block rooms & room types for only direct sales on specific dates or all dates. JSON API for integration with Channel Managers & other PMS: Are you using a different PMS or channel manager. With our JSON API, intergration with most channel managers & PMS is possible. Business Reports: Reports section can be used to generate booking reports & chart-based sales reports.